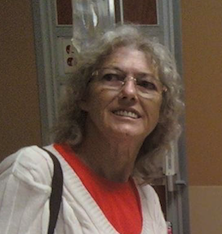 Deborah Kay Hall, 66, passed away Sunday January 13, 2019 at Union Hospital in Terre Haute. She was born on April 29, 1952 in Parke County to the late Eddie and Margaret (Lavena) Webster. Debbie graduated from Garfield High SChool in 1970, and retired from IAC in 2018. She was currently the owner and operator of the C6 Bar in Carbon. The bar occupied most of her time, but she enjoyed traveling, working crossword puzzles, dancing, and spending time with her friends and family.Debbie was preceded in death by her brothers, Bruce and Rex Webster, and her sister, Darlene Webster. Funeral services will be held at 2:00 P.M. Thursday at Moore Funeral Home in Brazil with Michael Bemis officiating. The family will accept friends for visitation on Thursday from 11:00 A.M. until the time of service.